Redbull Free Samples are available again! Get your summer off the ground with some freebies! Click on the link below and enter your information to get a Red bull gift card delivered to your in no time. 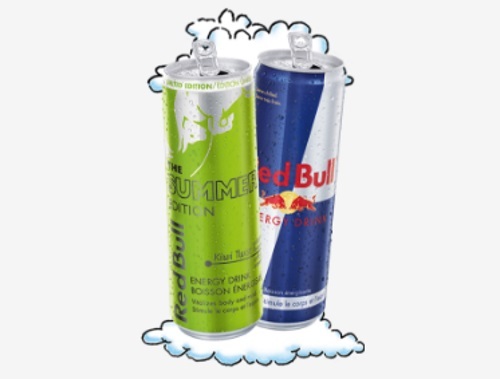 Choose from either original Red Bull Energy Drink or their new limited edition Red Bull Summer Edition with the taste of kiwi. Offer ends September 11, 2016. Limit 1 per person. There are 10,000 Free cans available to be claimed. Please note, the link below will go directly to the form, if there is no form then they are not available at this time. Try again throughout the day, I will post on our Facebook Page when we see these go live next time. Click here to get the free Redbull.